While millennials may be viewed as the most smartphone-savvy generation out there, that may not always be the case when it comes to cyber security. 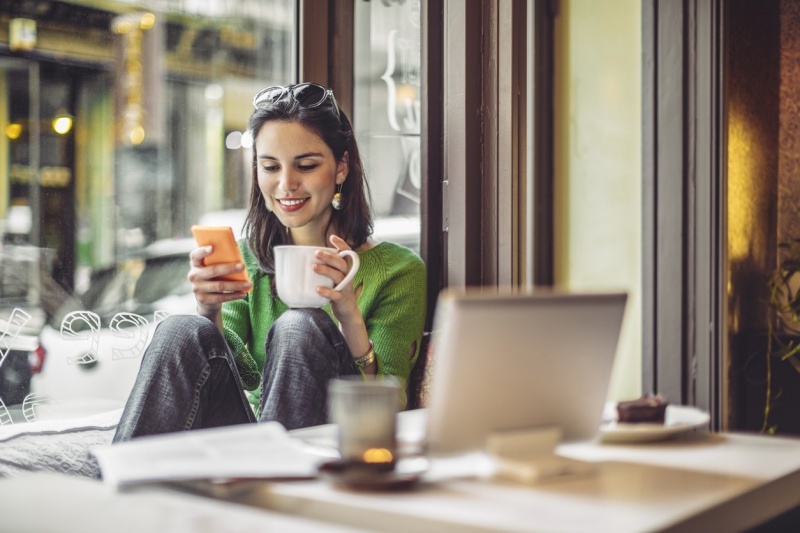 With mobile devices capable of holding an abundance of personal data, millennials are particularly vulnerable to fraud if they do not use simple, but critical measures to protect their devices. In fact, according to a recent TD Bank survey of millennials, 23 percent are not using the screen-lock password feature on their device, 67 percent will use the same password, or a slightly different version of a password, and one in five will keep a list of passwords stored on their device. Use better password protection. Think of your password as a guard that stands between your personal information and potential online risks. Use different user ID/password combinations for different accounts and avoid writing them down. Make the passwords more complicated by combining letters, numbers, special characters (minimum 10 characters in total) and change them on a regular basis. When you create passwords with combinations of letters and numbers that are unique for every one of your online accounts, you’ll make it more difficult to unlock your identity—helping to keep your information safe and secure. Mobile musts: Your mobile device is vulnerable to fraudsters if left unlocked, so be sure to set a screen-lock password, which will protect your personal information if your phone is ever lost or stolen. Enable auto-lock so your device locks after a short period of time when not in use. If you lose your device and it is unprotected, notify your financial institution immediately and change your banking passwords. Avoid using WiFi in public places: Accessing WiFi in busy public places, such as malls and airports, makes you more vulnerable to cyber fraud. Use your data to go online if you must in such locations—or wait until you’re in a more secure WiFi area. Set up fraud alerts: If your device was lost, but then recovered or replaced, be aware that your banking information may have been compromised. Cover all the bases by having your bank notify you of potential fraud. Such alerts will let you know of any suspicious activity on your accounts and allow you to block access to your bank card. Do the same with any credit cards you have associated with your mobile device. Check your statements and online accounts: If you lose your device and it is unprotected, be sure to notify your financial institution and review your banking information online. This will alert you to any fraudulent transactions more quickly and ensure your financial institution can take action to protect your accounts. Taking the above precautions will make you a lot smarter—and safer—when using your smartphone.